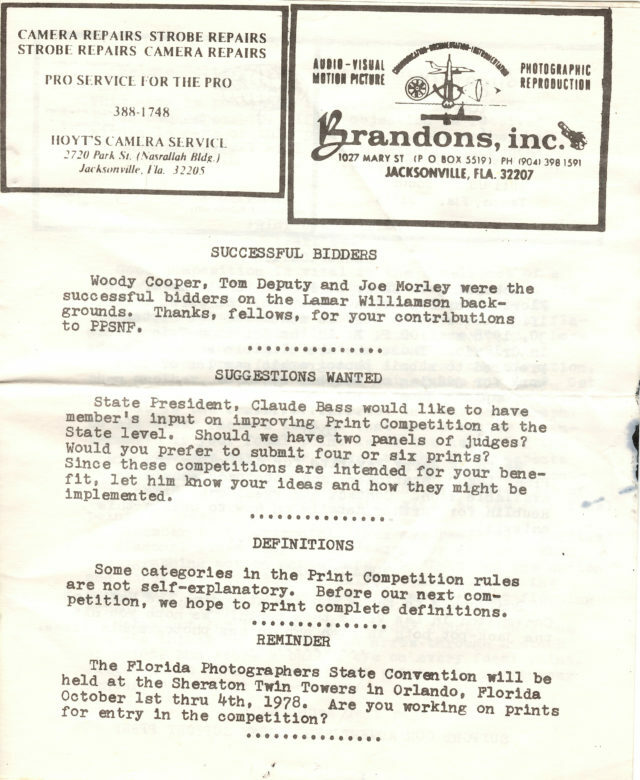 JPPG has a long history. 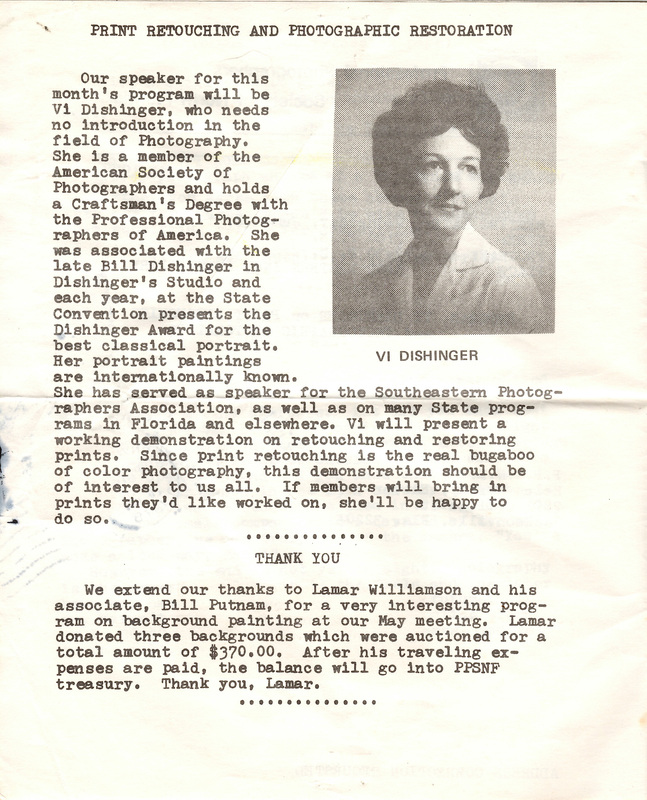 It goes back to the mid-1900s when it was known as the Professional Photographers Society of North Florida, or PPSNF. 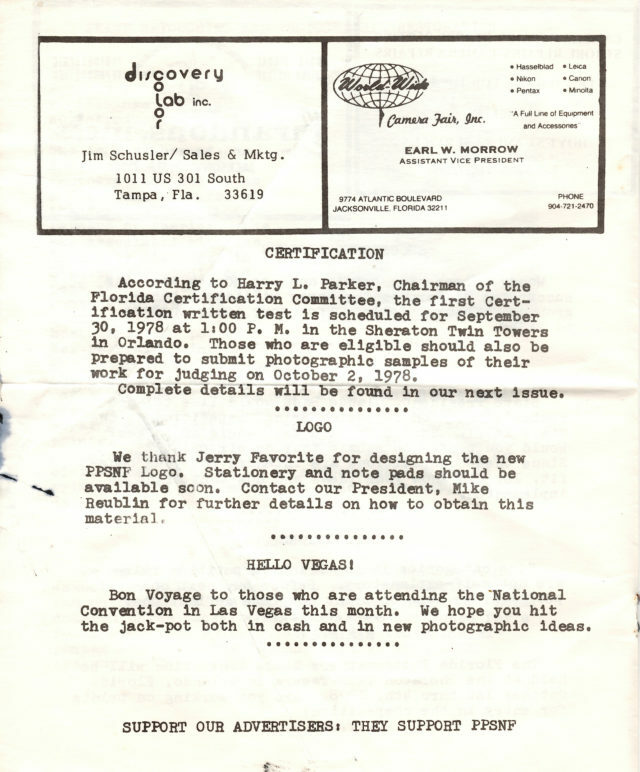 The name JPPG was recently only adopted within the last 10 years. 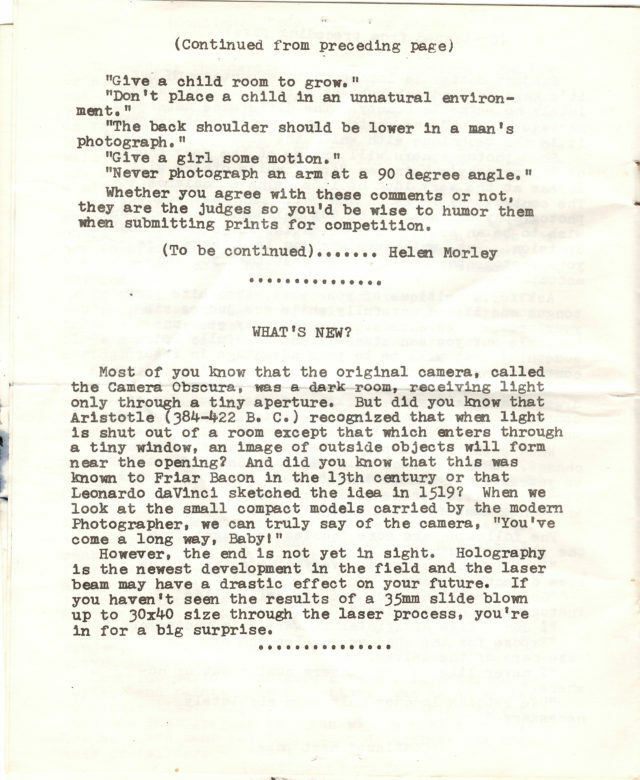 From time to time, we come across something that rewinds the hands of time in all of the history that we keep in many binders — newsletters, meeting minutes, marketing pieces, etc — and we get a glimpse of what the photography world and the Guild was like. This piece, however, was shared with us from one of our Members, Harry Forsythe. 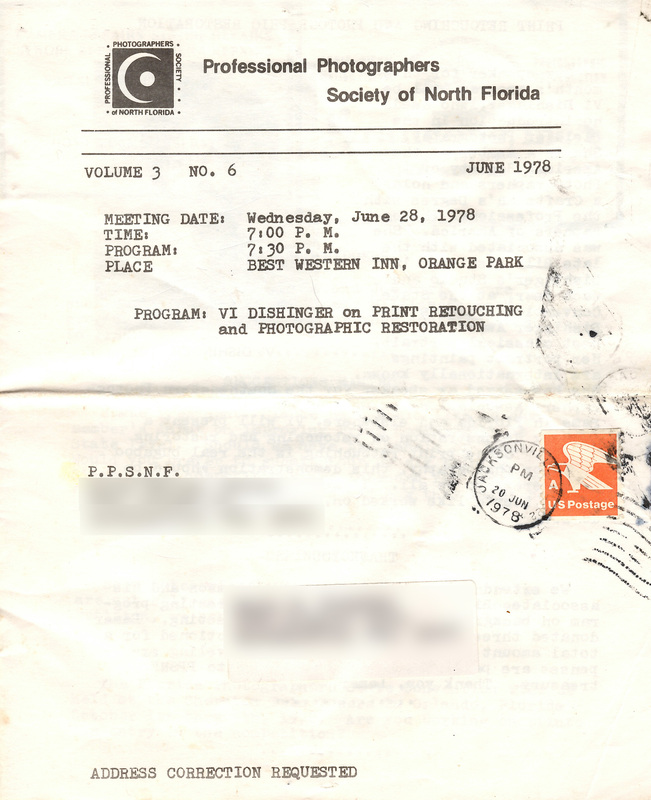 We’ll take you back through the JPPG Archives to 40 years ago to June 1978. 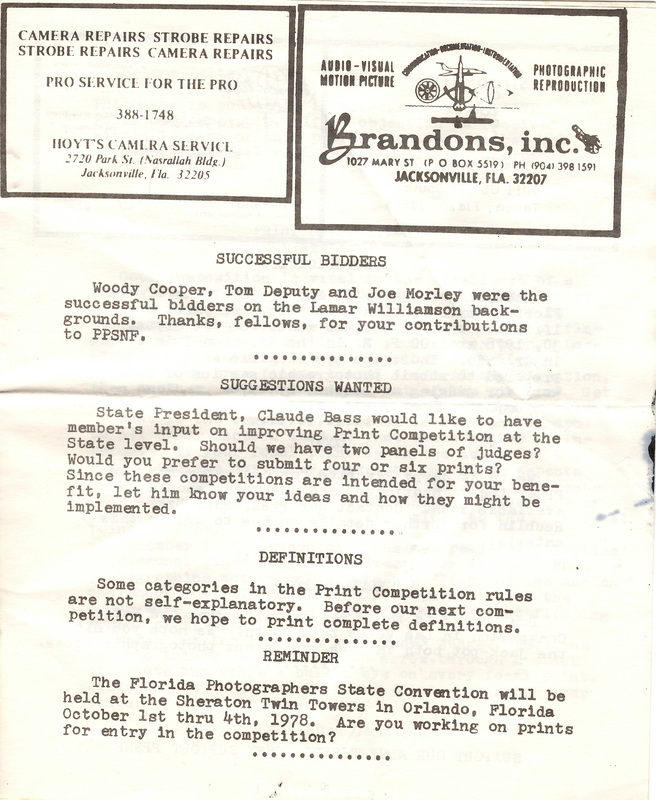 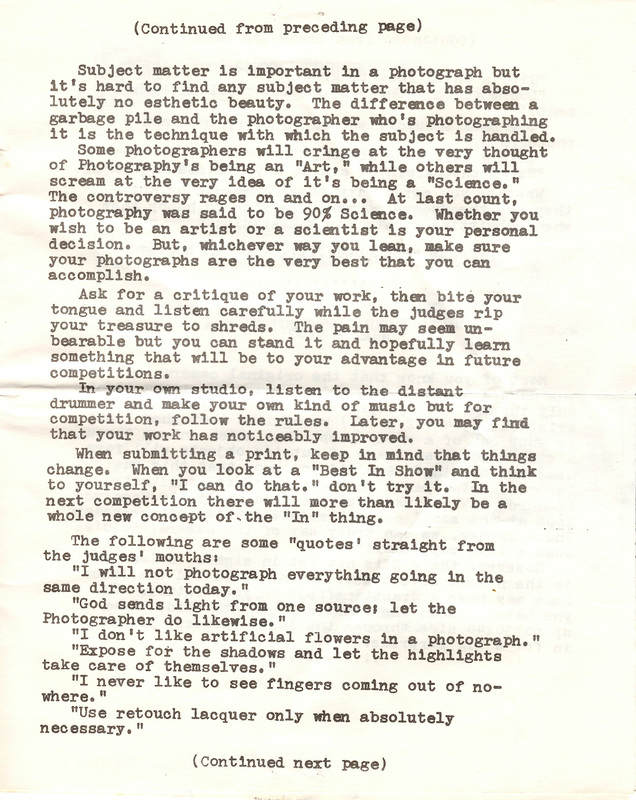 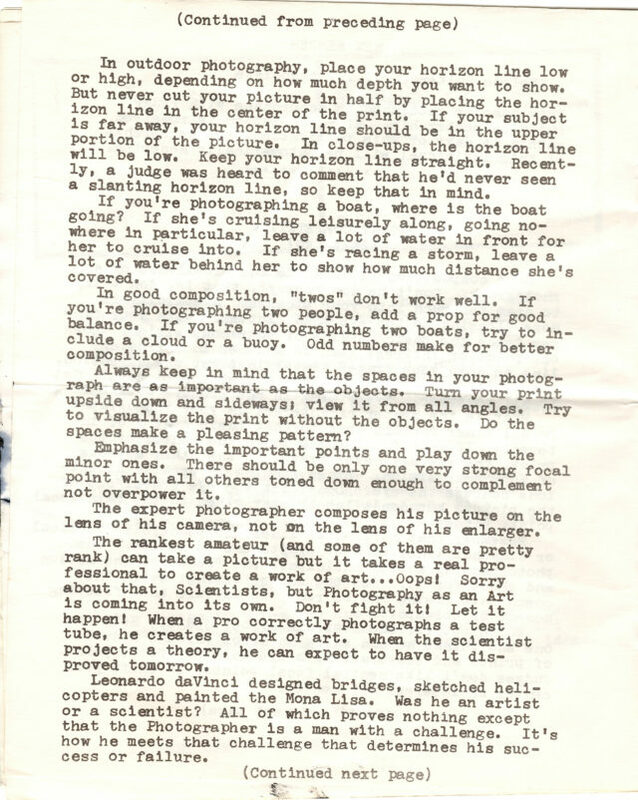 Below are scans from a PPSNF Newsletter from June 1978. Some of our Members were Members back then, some were in their early childhood years, and some of our Members weren’t even born yet. 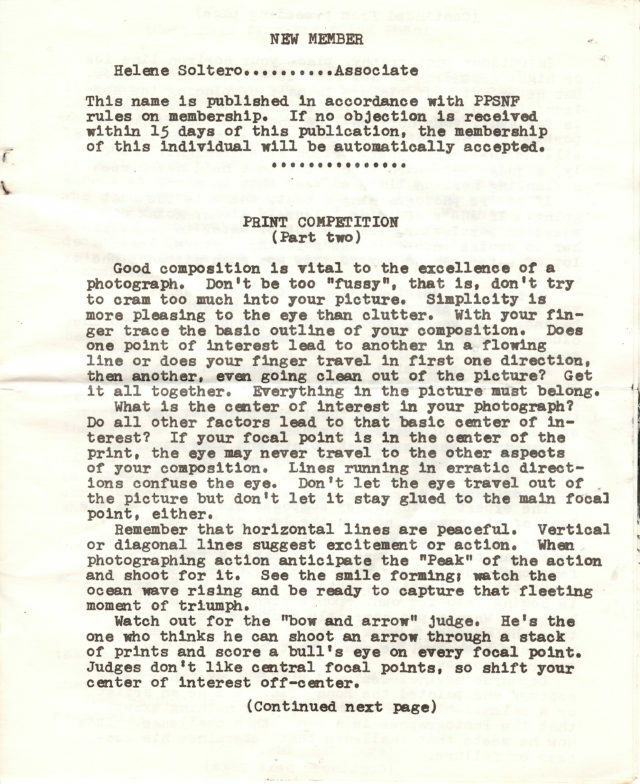 There’s a great article on Competition, too, that’s definitely worth the read. Enjoy this time machine travel back to 1978. Click to enlarge each page of the newsletter image below. This entry was posted in General and tagged Archives, Newsletter, PPSNF by admin. Bookmark the permalink.